Fuzzy Bunny Ear Slippers Just $17! Down From $40! PLUS FREE Shipping! You are here: Home / Great Deals / Fuzzy Bunny Ear Slippers Just $17! Down From $40! PLUS FREE Shipping! Don’t miss this deal from Jane! Get this pair of Fuzzy Bunny Ear Slippers for only $16.99, down from $39.99, plus FREE shipping! Leave each and every single worry behind when you slip into these fuzzy bunny ear slippers! Super cute and super comfy! 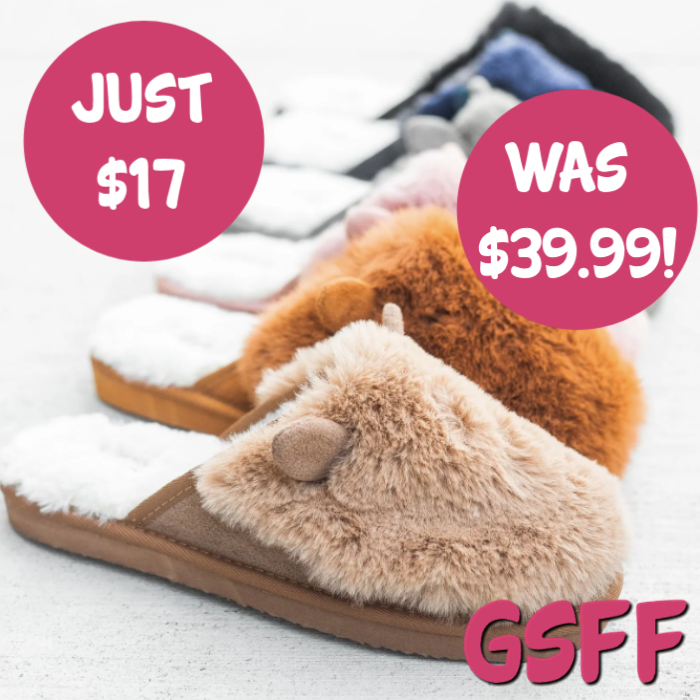 Made with faux fur and inner faux shearling and features a classic slipper slip-on style, bunny ears, and comes in various colors! Not only are they a must have pair for all girls, they make the perfect gift too! Made with faux fur with inner faux shearling. Has cute bunny ear accents. Easy to wear slip-on slippers.